The negotiations between the city and officers with the San Antonio PD have been nothing short of a bare knuckles brawl. The city even made a move to sue its own police officers. 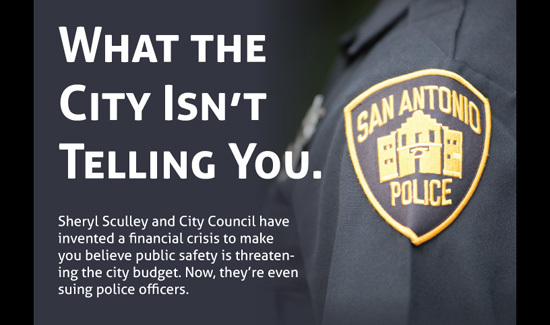 Here’s a full page ad the San Antonio POA is taking out in some local newspapers. Hopefully this battle will end soon with the good guys the winners. There is nothing presented that would cause anyone to do anything. From this I see the cops want a blank check for their budget. The city wants to pay less. Anything more?